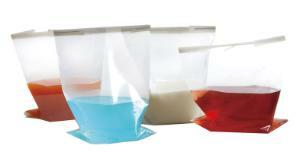 Gamma sterilized bags make sample collection quick and easy. Samples can be easily collected by removing the tear strip above the wire closure and pulling on the two external grip tabs to open the mouth of the bag to the desired level. 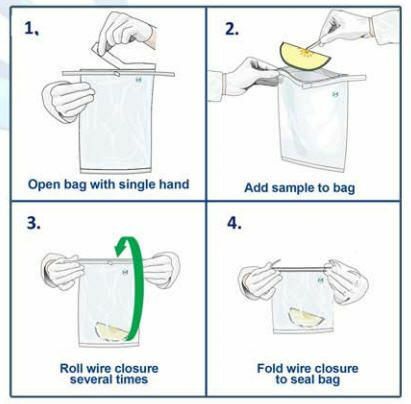 Using the grip tabs ensures sterility and eliminates the risk of contamination from finger contact. Then, introduce the sample into the bag, flip or fold the bag three times, bend the wires and the sample is secure inside the airtight and moisture sealed bag.